Surge or Strip? Protect Your Home! Power strips and surge protectors are among the most commonly used electronic accessory items used today. 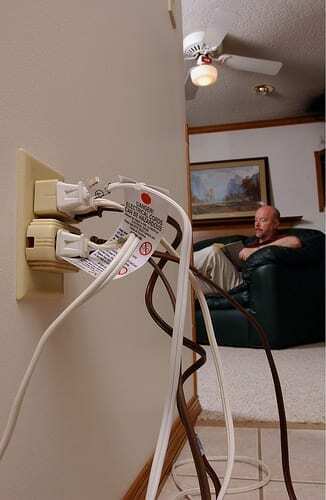 While oftentimes overlooked and taken for granted, power strips and surge protectors are actually vital pieces of electronic gear that allow you to connect multiple devices while providing protection from power overloads, surges and brownouts, and “dirty” power (inconsistent flow of electricity characterized by small spikes and drops in voltage). Understanding the difference between power strips and surge protectors is important to know so you are able to select the right one for your needs. A common misunderstanding many people have is that power strips and surge protectors are the same thing, or that all power strips includes surge protection. This is likely due to surge protectors being included on many power strips and with the words “surge protector” being printed on power strips that do feature surge protection. Some power strips are surge protectors, but not all are. Basically, power strips are designed to allow for the sharing a single electrical outlet with multiple pieces of electrical equipment. Power strips are generally a series of electrical outlets contained in an electrically shielded case, which are connected to a single cable with a male electrical plug on one side. This plugs into an electrical outlet. Simple power strips are sufficient if you will be plugging in devices that would not be damaged by electrical surges and just want more outlets. Surge protectors are an entirely different piece of equipment than power strips. Typical surge protectors act as a power strips by allowing multiple electrical devices to be plugged into them, but they also prevent the electrical current from overloading an electrical device with too much voltage. When voltage increases in the electricity coming through a wall outlet, it can overload the wiring in a house and cause damage to unprotected electrical equipment. Such surges can be caused by natural phenomena, such as lightning, and can also be caused by electrical appliances, such as those with large motors inside. Different types of surge protectors provide protection from different kinds of electrical surges. There are different types other than a standard model of surge protector that can be purchased. One type of surge protector uses a gas discharge resistor. This type of surge protector uses inert gas that can ionize when there is an electrical surge and sends excess current to the ground line. After a power surge, these types generally need to be completely replaced, as the gas is discharged and the protection is no longer in the device. Another type of surge protector uses a fuse that will burn out when excess current overloads the fuse. This will protect connected components but will destroy the fuse which will need to be replaced. Many people may choose to purchase the most inexpensive power strips available, thinking there is no difference, and not realizing the purpose and importance of a surge protector. If relatively expensive and sensitive equipment such as home electronics and computers are being connected to power strips, it is best to purchase power strips with a surge protector. If you are unsure which type you have, or simply do not want to check and change out all of the current power strips in your home, a whole house surge protector is an excellent solution. Connecting directly into the electrical panel, a whole house surge protector regulates the electrical current entering the house, whether it be too low or too high, and distributes it appropriately to all circuits in the electrical distribution box. It will prevent the irregular current before it even reaches the electrical component. The whole house surge protector will help prevent damage to electronics and appliances caused by surges, spikes, brownouts, and blackouts. If you are not sure if you have surge protectors or power strips, or are interested in learning more about whole home surge protection, contact your local electricians. We offer whole home electrical safety inspections and can provide you with surge protection solutions that are best for your home. Schedule an appointment online today with Tiger Electrical Services, or call us at 1-866-TIGER70. 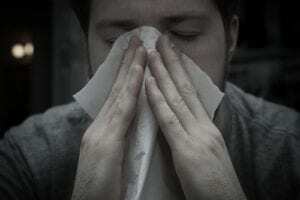 Did you know that headaches can be caused by poor indoor air quality? When we get headaches, that we often contribute to seasonal allergies, we don’t think that they could be caused by our own homes or the buildings in which we work; however, more often than not, environmental causes may be the culprit for our achy heads – including poor indoor air quality. Having good indoor air quality is vital for the maintenance of proper health. 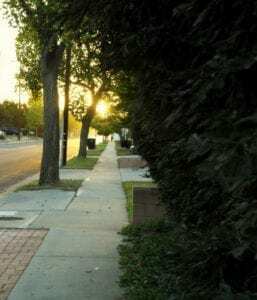 According to the statistics presented by the EPA (Environmental Protection Agency), the pollutant level inside the home is often two to five times higher than what is outside. These pollutants include different types of airborne particles as well as particulate matters such as gases, lung irritants, allergens, toxic chemicals and VOCs (volatile organic compounds). If you get headaches often, take time to notice if it only happens when you are in a particular room or building. If so, there are two likely causes: Mold or Clogged Air Ducts. The presence of mold in your home or building may lead to several health issues. In addition to headaches, recurring mold exposure may produce the following symptoms: decreased attention span, fatigue, respiratory distress, asthma, irritations of eye, nose, throat, and lungs, and redness and rashes, among others. Young children are particularly vulnerable to the various health risks associated with polluted indoor air, as their lungs are still developing and are smaller in size. They also need to take more breaths in throughout each day, which becomes difficult if the air quality is bad. If a person is experiencing asthma attacks or allergy symptoms, then bad indoor air quality in his or her home might be a probable cause for such symptoms. Poor indoor air quality can be caused by a variety of factors, such as lingering odors, poor ventilation, water damage, new furniture, a new pet or environmental changes such as a recent construction. 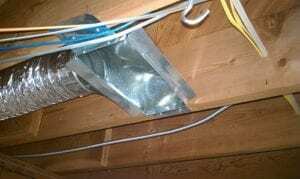 If the ductwork in your home or building is clogged, clean air cannot reach the room or rooms it is vented into. When this happens, only stale air and carbon dioxide re-circulates and the lack of oxygen-rich air will cause headaches. The best way to treat poor indoor air quality is to have your air duct system cleaned and disinfected. Likewise, If you experience allergic reactions more severely when you are in a certain room, space, or building than you do in others, it is likely caused by the presence of unknown allergens. If you are bothered in a certain area with allergic reactions, it is very important to get indoor air quality testing to rule out the possibility of poor indoor air quality being the cause of your allergies. Using professional duct cleaning experts, such as those at Tiger Heating & Air Conditioning Services, will ensure that the indoor air that you breathe is healthy. Schedule an appointment online, or call us today at 1-866-TIGER70. Don’t delay, get headache and allergy relief today! Overloaded By Electrical Concerns? Get Grounded! A home’s electrical work is something most people rarely give any thought to… until it goes wrong. By keeping up to date with maintenance and repair, a homeowner can save thousands of dollars, and thousands of headaches, by nipping potential hazards in the bud. Not only can updating your home’s wiring, breakers, and appliances improve your home’s safety, but it can increase the value when it comes time to put it on the market – not to mention saving you a fortune on utility bills! If you notice any of these signs in your home, you have every reason to suspect that your electrical system is outdated and needs attention now. Putting off electrical repairs or updates not only puts your family at risk, but it means you’re using more energy than you need to. 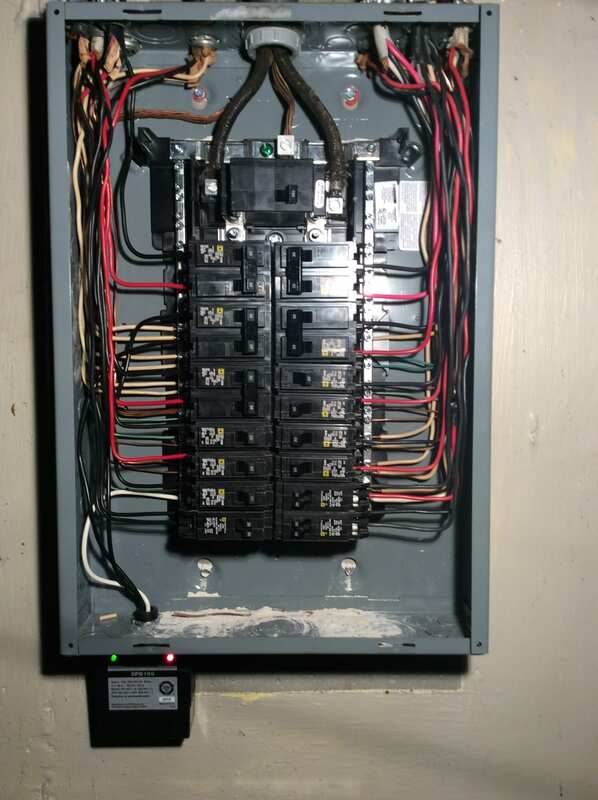 Pay close attention to electrical panels that are old and damaged wiring because it is things like these that can easily lead to hazards such as electric shocks and electrocution. Are you looking for a way to get the most out of your home electricity usage? You may need an electrical panel upgrade. Older homes may not always have updated electrical panels because of technology changes. Many people think that homes built in the mid-19th century or before are the only homes that need upgrades. As unbelievable as it may seem, even homes built in the early 2000s may not be equipped to handle the amount of electricity the modern-day household generates. If you’re installing a new home theater system, a state-of-the-art security system, or you’re adding exterior lighting to your home, it’s possible that your current electrical panel will not be sufficient enough. Power overloads present real dangers to households and can lead to electrical fires. Regardless of how old your home is, if you’re adding major electrical components to your home, check with a local electrician to make sure your electrical system is equipped to handle the increased usage. The value of a professional electrical contractor should never be dismissed. Qualified electricians understand the intricacies of residential systems and know how to make upgrades that are safe and useful. While not all electrical work is rocket science or unsafe, it is still complicated. If you’re not a licensed electrician, you could hook up the wiring incorrectly or install a plug the wrong way and end up putting your home’s entire electrical system at risk. The end result of this kind of DIY project is a hefty repair bill. Always consider allowing practiced and insured electricians, such as those at Tiger Electrical Services, to take care of any upgrades or repairs. Sit back and relax. Why put yourself through an exhausting DIY project when you don’t have to? Today’s modern technology requires households to be plugged in 24/7. Su re, many things like DVR systems, the Internet, and home security systems utilize wireless technology, but you still need a power electrical system to handle the basic electrical components of these various technologies. If you have plans to sell your home in the future, a property that has the ability to keep up with the demands of modern technology will be worth more than a property with an outdated, electrical system. Now Featuring: The A/C Super Tune Up! It’s spring here in the St. Louis Metro East area! Although many of us haven’t even turned on our air conditioners for the first time this year, now is the perfect time to get your cooling system ready for the summer’s heat. What’s the best way to do that? Schedule an air conditioner tune up with Tiger! What goes into an air conditioner tune up? When you schedule an air conditioner tune up with Tiger, we’ll send one of our technicians to your home to get your unit ready for the summer season. During the tune up, we will inspect your entire cooling system and make note of any problems that are affecting its safety, efficiency or performance. Along with an inspection, we’ll perform all of the necessary maintenance tasks (such as a thorough system cleaning) required to bring your system up to its peak performance. After finishing your tune up, we’ll talk with you about any problems that we find and make any suggestions for repairs or improvements. What are the benefits of getting an annual tune up during springtime? Reduces the risk of breakdowns this summer. There’s no good time for your air conditioner to break down, but you’ll probably agree that it can’t happen at a worse time than in the middle of summer. By getting a tune up during spring, you’ll have plenty of time to fix any problems with your air conditioner that might have led to a breakdown a few months down the line. Cuts down on your energy bills. A tune up will bring your air conditioner up to its peak operating efficiency, which will cut down on its operating costs. The earlier in the year that you get your tune up, the more you’ll be able to take advantage of this benefit. Takes care of small problems before they become big problems. Small problems with your HVAC system rarely stay small for long. Instead, the typically get worse the longer they are ignored. Spring is a great time to take care of problems with your air conditioner because you’re not yet using it every day and you can catch small problems before they develop into expensive repairs in the months to come. Extends the life of your air conditioner. You wouldn’t go years without changing the oil in your car, so why would you skip out on annual maintenance for your air conditioner? By getting an annual tune up, you can keep your air conditioner healthy and greatly extend its operating life. If you have any questions about an air conditioner tune up, or if you’d like a cooling system serviced or installed in your home, contact Tiger, your Metro East Illinois plumbing, heating, air conditioning, and electrical company.